The information below has all you need to know about completing your proficiency for the 2018/2019 season. For information about renewing memberships click here. The proficiency morning includes the run-swim-run, skills maintenance, resuscitation refresher and an IRB component for qualified members. Please ensure you have completed your online proficiency paper prior and bring the certificate of completion with you. If you can't make these dates please contact us at office@nobbysbeachslsc.com for alternative arrangements. Pool swims can be completed at any of the following dates under the supervision of club personnel. If you cannot make a pool swim on one of the above dates, you will need to attend a pool and get a coach to sign a pool swim form. The online proficiency theory paper can be accessed via the members area - https://members.sls.com.au (if you don't already have an account you will need to create one first). Click the red "Login to eLearning" button. Complete the Skill Maintenance Bulletin Theory Questionnaire for the 2018/2019 Season. A copy of the Skills Maintenance Bulletin can be downloaded at the start of the eLearning course. Alternatively, the Bulletin can be downloaded here. There are only 9 questions in the paper which are very easy if you read the Skills Maintenance Bulletin. The questions outline the main changes for the coming season. If you have a paper that has more than 11 questions or it is broken up into different section STOP… you are doing the wrong one. Please ensure that you print a copy of the completion certificate and bring it with you to your chosen proficiency date or if you don’t have access to a printer please email it to the office by 12pm on the Thursday before each proficiency date. To renew your membership online go to https://members.sls.com.au and either login or create a new Members Area account (if you don’t already have one). Full instructions on how to renew and pay online can be found here or on the membership area of the site. Do you have a USI? All members will need one apply for one today at www.usi.gov.au It only takes 5 minutes and you can then add this information to you member profile. No USI = no new awards being signed off as competent. Membership fees can be paid via any of the methods below (1 or 2 preferred). Please ensure meaningful payment details are provided. 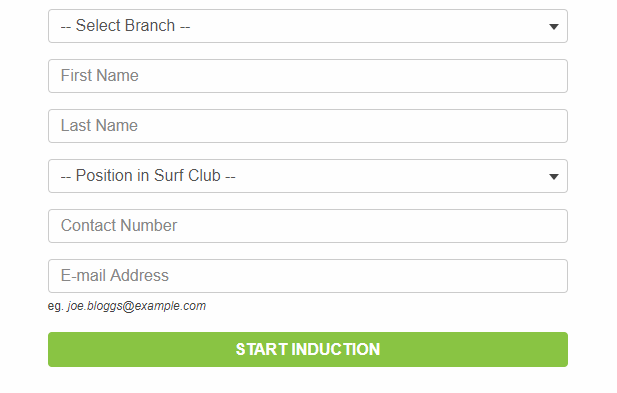 Login to the Members Area, go to "Memberships", "Renewals, Payments & Transfers" and choose make payment. ALL active members over 18 years of age must have a current Queensland Blue Card registered with Surf Life Saving Queensland. If you have a current Bluecard for work or another organisation it has to be linked for use in Surf Life Saving. If you have a Blue Card Exemption you also need to complete a Blue Card Exemption form, if you don’t have a current Blue Card or have never had one, you need to complete a Blue Card Application form. All of these forms are available on membership forms page. The forms MUST be submitted through the club (not direct to Blue Cards) along with 2 forms of ID (this can all be scanned and emailed) or they will not be accepted by Blue Card Services. Please contact the office for more information if you are unsure. All active members over 18 years of age also need to complete the Child Youth Risk Management Strategy (CYRMS) as well as holding a current Blue Card. This can be done online and will only take approx. 10 minutes. 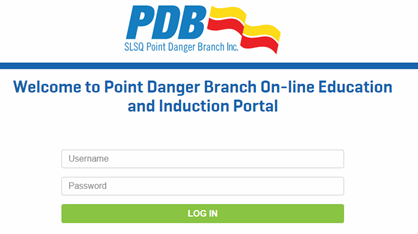 This program is managed by Point Danger Branch for SLSQ. Please note this needs to be completed by 31st October 2018. If you have any issues or questions please don’t hesitate to contact Belinda in the office on 5526 1117 or Chief Training Officer Peter Gabbert at training@nobbysbeachslsc.com.